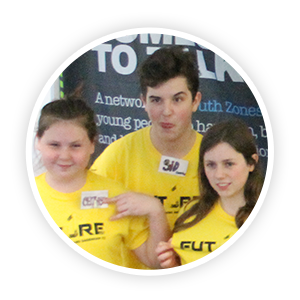 If you think that Future might be the place for you, then becoming a Member of our Youth Zone is incredibly good value. 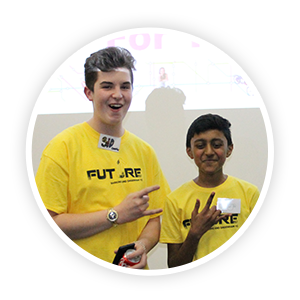 If you are aged 8 – 12, then our Junior Zone will be the right place for you! We will have heaps of fun planned, you can make new friends, try new things, develop interests and have someone to talk to. Attending a new club can be daunting as an 8 year-old, but don’t worry we will have a welcoming, friendly and supportive team in place to help you settle in. Senior Zone will be the best place to hang out if you’re aged 13-19. The Youth Zone will play host to an unbeatable mix of sports, creative and performing arts, enterprise and chill out activities with something for everyone and for only 50p per session. With over 20 activities every session, there will also be regular theme party nights, roller discos, special events and tournaments on offer. All existing Youth Zones provide and cater for young people with a range of additional needs up to the age of 25 through inclusive ability sessions alongside their mainstream offer. Future will be no different. 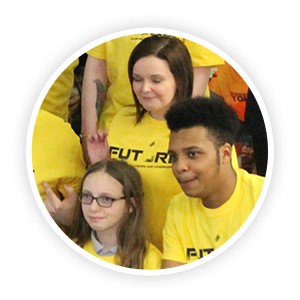 We will offer all young people, regardless of ability the opportunity to access a range of activities for example boxing, trampolining, karaoke, arts and crafts, cooking, gaming and much more. Sessions will be adapted for young people with additional needs to enable anyone to access them; including young people with a variety of different needs from mild learning difficulties to more complex needs such as visual impairment and physical disabilities.